It depends on your strategy, level of internal expertise, and what you need from your electrical system. For many, business continuity is the single most important need because shutdowns are unacceptable. The cost of failure is too high. That top goal is often followed by planning and forecasting operations and opex budgets over time, and by maximizing asset lifespans and efficiency. Engaging the services of trusted power distribution experts from original equipment manufacturers can accomplish each of these goals. They can deliver more than one might expect across the entire lifecycle of an electrical installation. Some facility or network managers are satisfied with the current performance, efficiency, and maintenance strategy of their electrical distribution system…but whose opinions change when they see what’s actually possible. Connected, digital technologies for these networks and equipment have come a long way in recent years, and it’s easy to underestimate the extent of what they can achieve. Advanced diagnostic services and remote monitoring, for example, can provide a detailed understanding of equipment health and how it’s operating. They use advanced predictive asset analytics and powerful IT platforms that enable early risk detection and prevent equipment failure. They do that by identifying weakened assets or malfunctions and allowing operators to proactively address problems before they lead to downtime. Digital technologies like these also allow the development of tailored maintenance strategies that meet the exact requirements of an electrical installation and the business it powers. 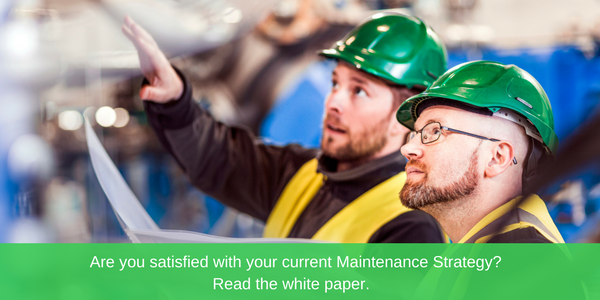 Coupled with the accumulated global expertise of electrical installation and equipment specialists, an ideal maintenance approach can be designed and deployed. The results of modern electrical distribution services like these often pay off in more than supply continuity, but also in efficiency gains and avoiding capital expenditures. Not to mention the comfort in knowing that a powerful guardian is continuously watching and working to keep the power flowing. Original equipment manufacturers are usually the best positioned to deliver services and consulting because they have a depth of cumulative understanding about how distribution equipment is designed and tested, and the broadest view of how it behaves in many thousands of different installations. Their supply chains also have direct access to spare parts. Like a good insurance policy, power distribution services from equipment manufacturers are a reliable and powerful way to protect your business and operations. But combined with today’s digital technologies and platforms, they’re better than ever. For more about how services fuel modern maintenance strategies that leverage IoT and digitization, read Strategies for Maintaining Electrical Distribution Equipment.